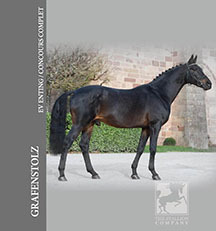 Grafenstolz was awarded a premium at the 2000 Trakehner licensing in Neumünster as a two year old. 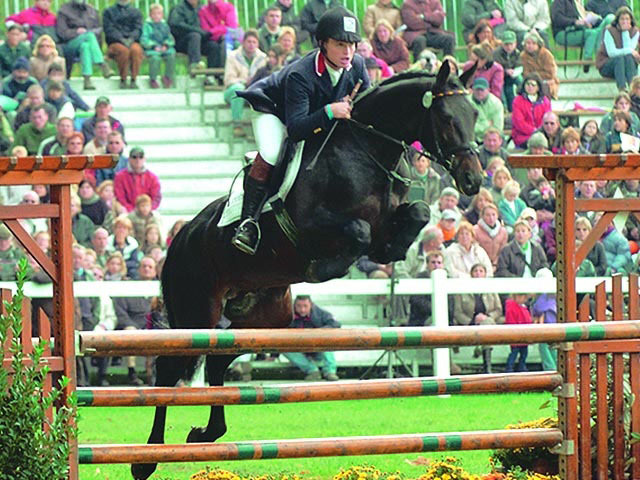 He proved his versatile talents right from the very beginning on the sport, as a five year old winning several 1.25m level tests for show jumpers, as well as medium dressage. As a six-year-old he made German breeding history by becoming the first horse ever to qualify for the finals of the jumping, dressage, and eventing in the same year. He went on to win the eventing with an average score of 9.7 out of ten. This was followed later in the same year by him winning the World Championship for young event horses in Le Lion d’Angers, France. In 2005 as a seven year old he won his first advanced level event competition. In 2006, as an 8 year old he won the bronze medal at the German Championships in Schenefeld, then placed in two international three star competitions and won three international two star competitions. 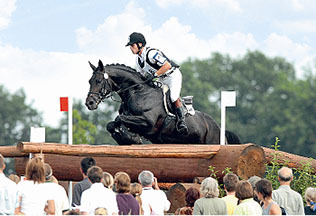 In November 2006, he received Trakehner Horse of the Year award given by the Trakehner Verband. In 2007 and 2008 he won at Compiegne. In 2007, he competed in a puissance class and cleared 2 metres or just under seven feet. His sire, Polarion, is highly succesful both in breeding and the sport. As a seven-year-old, he had already won advanced (S) level dressage competitions and became the 2000 National Trakehner Champion at the show in Cologne. Meanwhile he is successful with Markus Gribbe in World Cup Freestyles. The dam St. Pr. St Gipsy Lady, is by the Danish Champion stallion Camelot. Camelot is a son of the successful Grand Prix stallion Arsenal. Gipsy Lady is a full sister of the State Stud Moritzburg sire, Gipsy King. The granddam, St.Pr.St. Grazie II, has won many prizes in breeding and sport. She was champion mare at several broodmare shows and participated in the Bundeschampionat twice. The great grandsire Arogno is regarded as one of the trademark sires of post war Trakehner breeding. 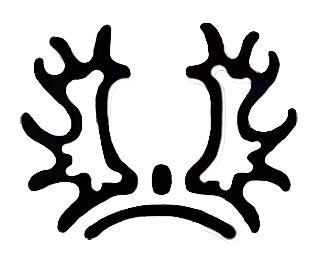 Grafenstolz comes from the Trakehner family of Gundula 509 (by Hypnos-Columbus-Czardas; Poll-H’rem). This line also produced the stallions Ginster, Grandioso, Gundo, Gunnar, Guter Planet, the licensing winner Guter Stern and Guy Laroche.